The Air Force wants to start a new program to develop a series of offensive cyber tools, according to the White House’s budget request for fiscal year 2020. This project will provide advanced cyber warfare capabilities to the Air Force’s cyber mission force personnel, who work on projects for U.S. Cyber Command. In the service’s budget books, the program is named Cyber Mission Force Foundational Tools. In fiscal 2020, Air Force leaders want the program to expand on past efforts to produce a family of foundational tools, to develop additional tools and software factories and to deliver prototypes that are interoperable with Cyber Command’s architecture. Cyber Command leaders have vowed that the services will no longer develop stove-piped tools or infrastructure for individual service use. 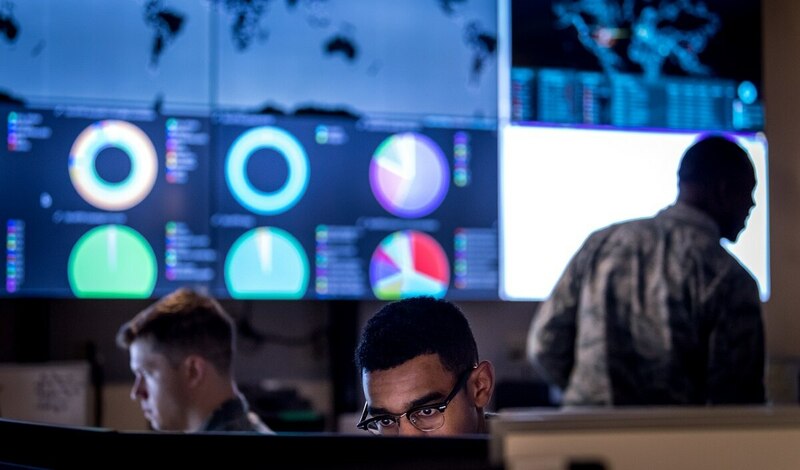 The budget documents note that these foundational tools will be incorporated into the Air Force’s Distributed Cyber Warfare Operations portfolio. “The DCWO portfolio enables delivery of cyber effects to Combatant Commanders to include cyber operational preparation of the environment, offensive counter-cyber, cyberattack, electronic warfare operations, mission planning, intelligence, cybersecurity products and services and Command and Control/Situational Awareness (C2SA) tools needed to attack enemy networks, telephony, Integrated Air Defense Systems (IADS), command and control systems, and create cyber effects through the Electromagnetic Spectrum (EMS),” the document state. Budget documents note that the program leverages previous efforts from Cyber Command and the Air Force for foundational tool development and were funded in other programs.